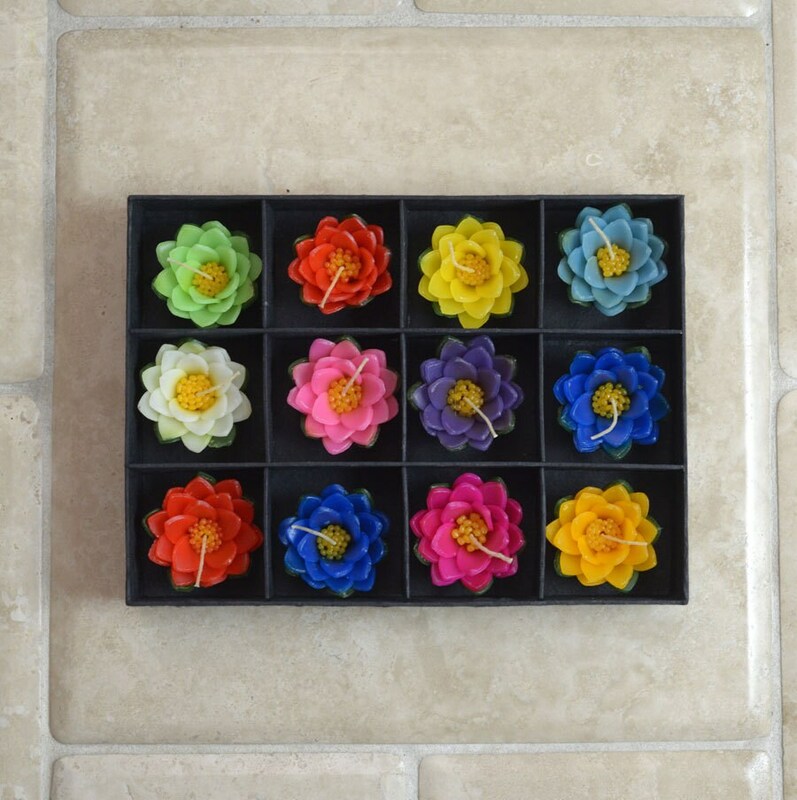 Beautiful Set of 12 Large, Colorful, Floating Lotus Flower Candles. Makes a Gorgeous Gift. 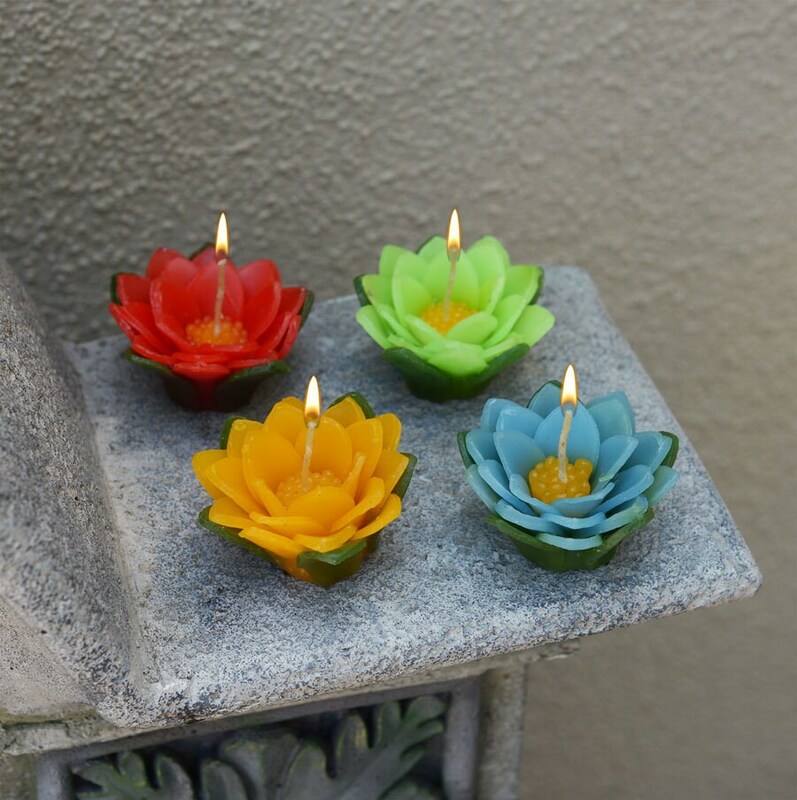 Superb, large (3 inches), floating Lotus Flower Candles in amazing colors. These are beautifully made and come in their ow quality box ready to be gift wrapped to celebrate a memorable occasion or use around the house. Excellent value: The candles in this item are $3.75 when bought as a set. However, large Lotus Candles retail for about $7-$10 each when you but them individually -- this is a real bargain. Beautifully colored wax candles can be used to brighten any space. 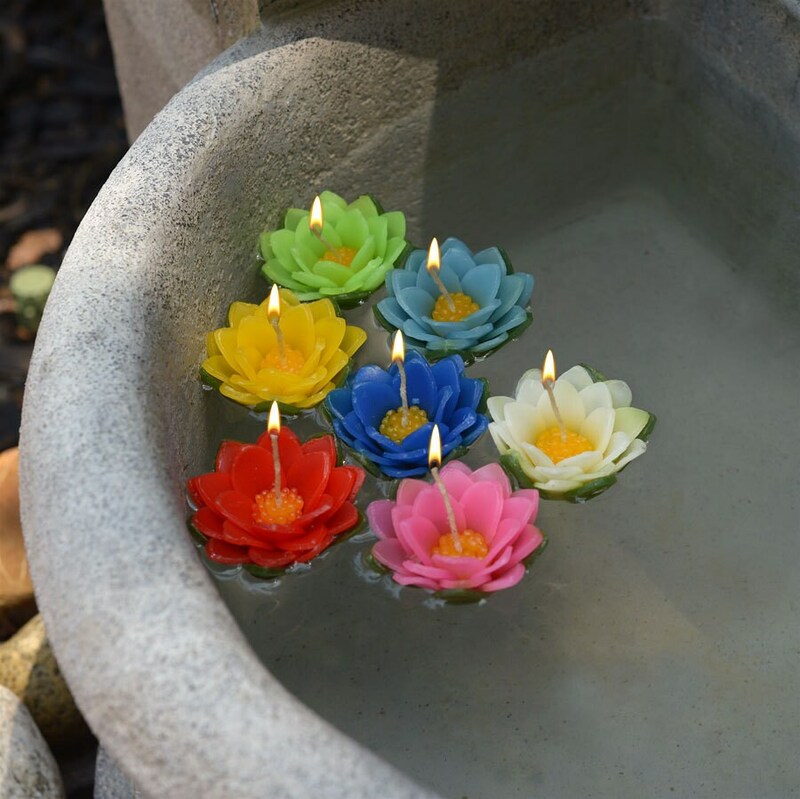 Use them on water for a peaceful and uplifting experience of color and light. 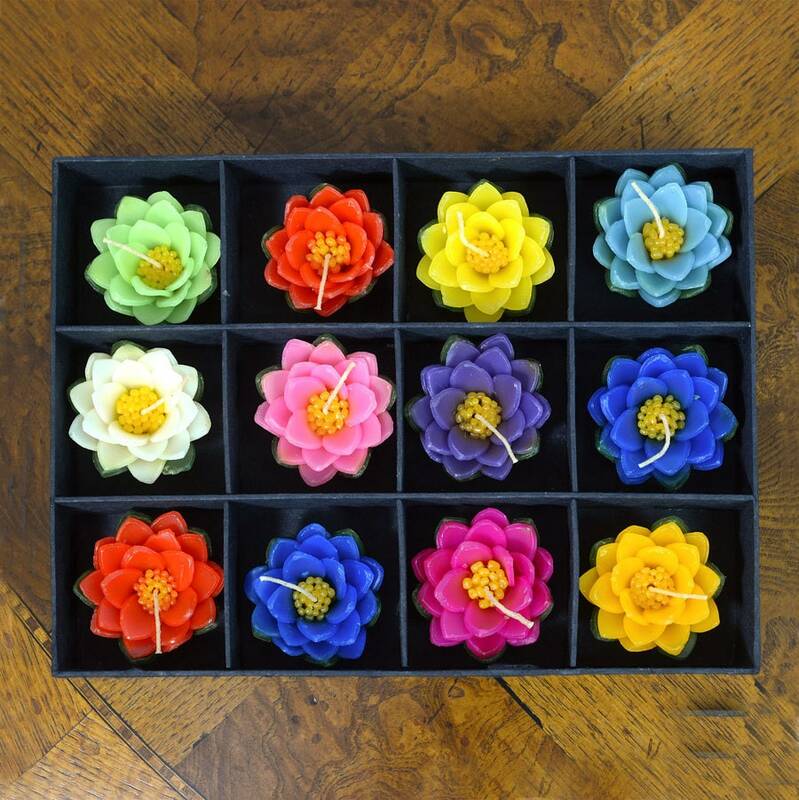 Box contains 12 larger lotus flower candles. Each candle is approx. 3" wide.